Electronic Concepts & Engineering has developed Full Authority Digital Engine Controls or FADECs for turbine engines, flight qualified engine monitoring electronics, and turbine engine control simulation systems. In addition to FADEC development, we have also developed flight qualified turbine engine monitoring systems and Real-Time Hardware In-the-Loop (HIL) engine simulators. 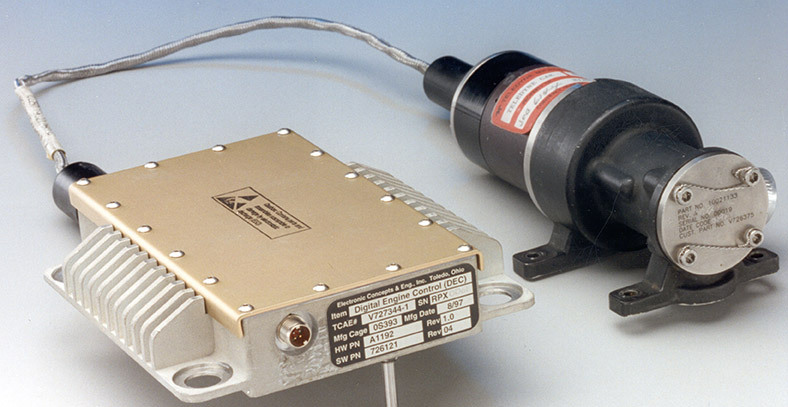 The HIL systems were developed for DARPA, Lockheed Martin, Raytheon, and the US Air Force and have been used on the JASSM and TACTOM programs and are deployed at Wright Patterson Labs. They simulate the operational characteristics of the propulsion system over the flight envelope, thus allowing validation of the engine controller and accessories without performing expensive engine (or flight) testing. We have the ability to provide embedded real-time software, documented to IEC 12207, MIL-STD-498, or customer standards. In addition to the real-time embedded software, we routinely develop P.C. based operator interface software that allows the operator to control, test, status, reprogram, and log data from the embedded product. Our product developments include features such as built-in-test (BIT), diagnostics, and prognostics. Our designs typically integrate modern communication busses such as CAN (ISO 11898), Ethernet, USB, 802.11, MIL-1553, as well as others. We have implemented CAN over Fiber Optics for high voltage/high current applications for EMI immunity. In addition to FADEC development, we have the ability to provide design analysis and documentation such as reliability analysis (MIL-HDBK-217), finite element analysis (subcontracted), failure modes and effects analysis, sneak circuit analysis, interface control documents, qualification test plans and reports, to name a few. We typically take responsibility for product validation and qualification testing per the customer’s specification. 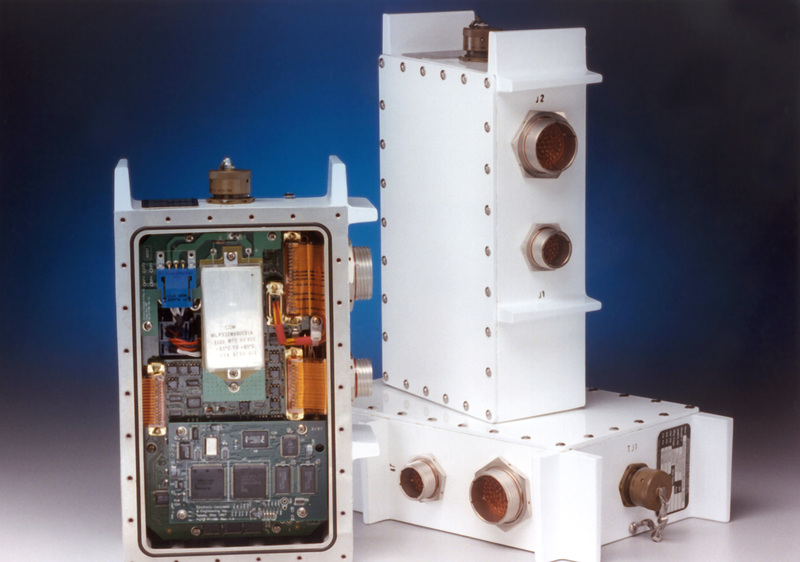 Tests normally are performed to FAA or Military standards including MIL-STD-810 and MIL-STD-461. Depending on the type of testing, and the levels required, we may perform the testing in-house or use an established network of testing labs. 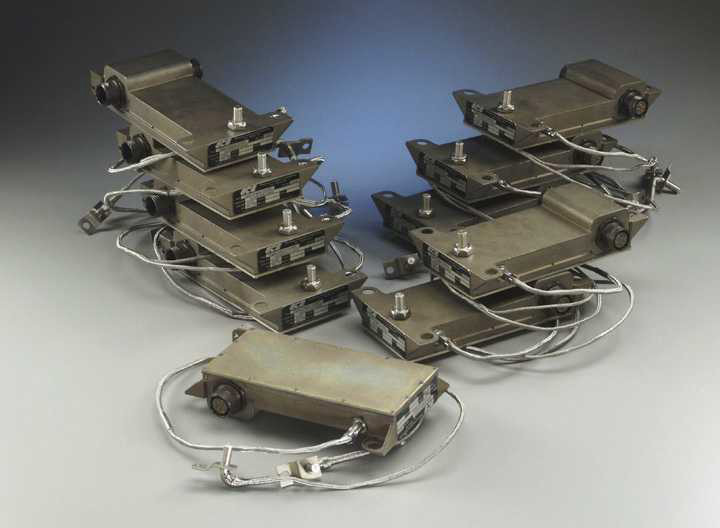 Typical qualification testing for a FADEC includes: Corrosive Atmosphere (Salt Fog), Salt Water Immersion, High/Low Temperature, Temperature Shock, Humidity, Vibration, Shock, Altitude, Explosive Atmosphere, Fungus, Acceleration, EMI Suite, and Electro Static Discharge (ESD) to name several. In addition to the qualification testing, we have the ability to perform Highly Accelerated Life Testing (HALT), Highly Accelerated Stress Screening (HASS), and Environmental Stress Screening (ESS) in house. ESS (shake and bake) is usually required on each deliverable unit to reduce infant mortality. For a FADEC overview, visit Wikipedia.